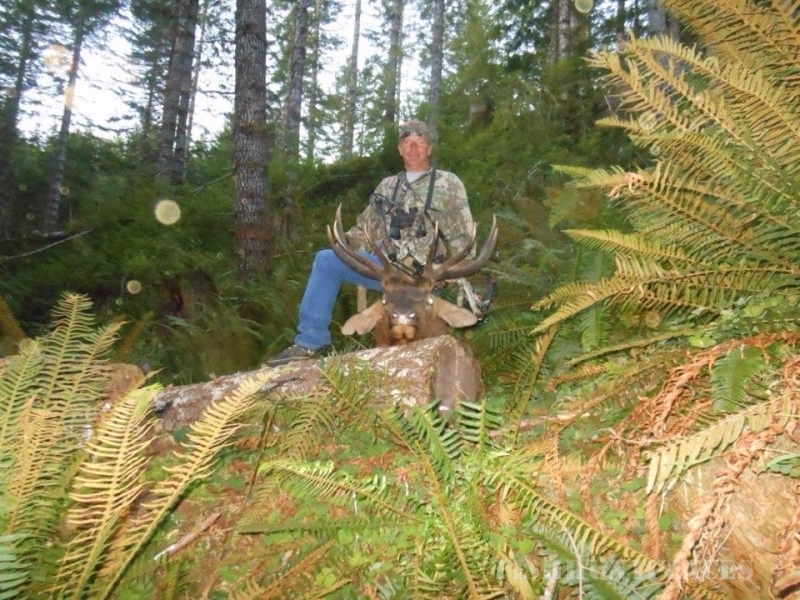 We offer specialist guided Roosevelt Elk and Blacktail deer hunting in the Trask Mountain Range of Oregon. 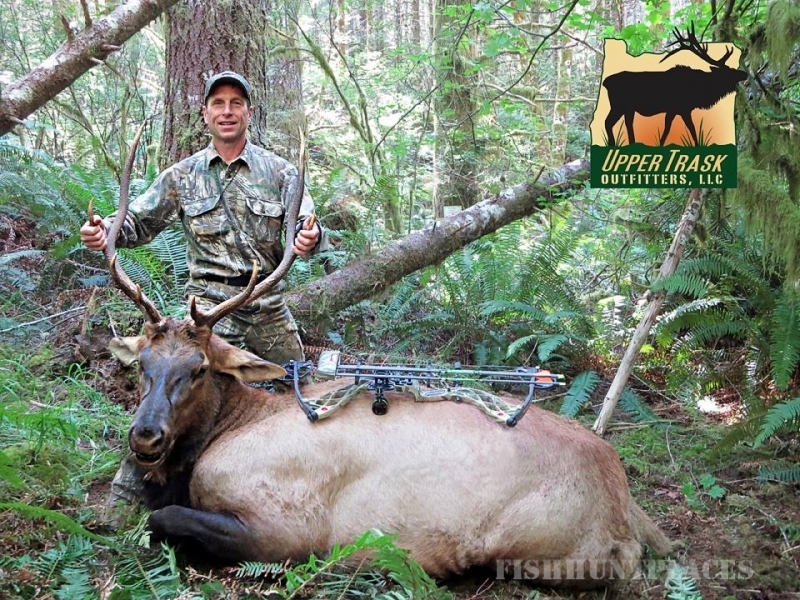 As the exclusive outfitter in the Oregon Coast range, Upper Trask Outfitters provides high quality, fair chase Roosevelt elk and Blacktail deer hunting in Oregon. 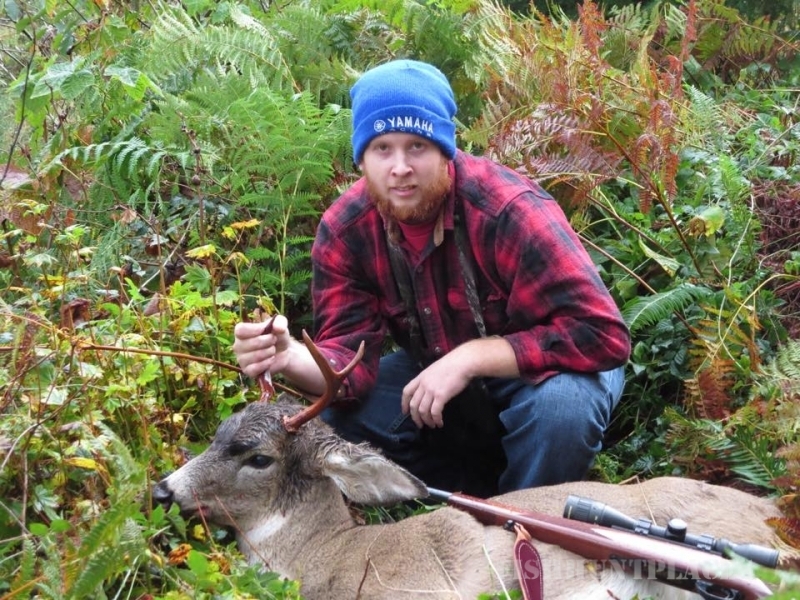 The Upper Trask mountain range offers 150,000 acres of pristine mountainous terrain to hunt. 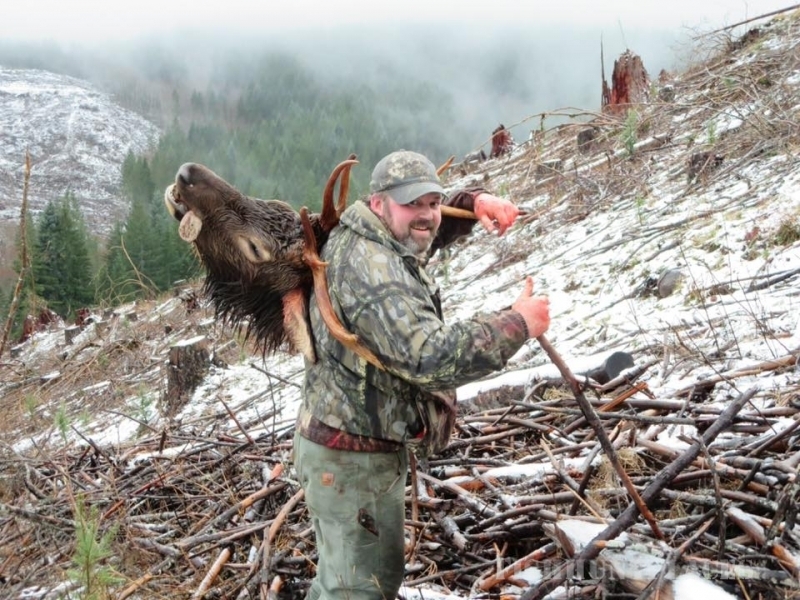 As guides, we are dedicated to customer service while providing memorable, challenging hunting in Oregon with impressive rewards. The Roosevelt elk, also known as the Olympic elk, is the largest of the four surviving subspecies of elk in North America and is unique to the Pacific Northwest. Roosevelt elk live primarily on the western slopes of the Coastal and Cascade mountain ranges from northern California to southern British Columbia. Adults grow to approximately 6-10 feet (1.8-3m) in length and stand 2.5-5 feet (0.75-1.5m) at the shoulder. 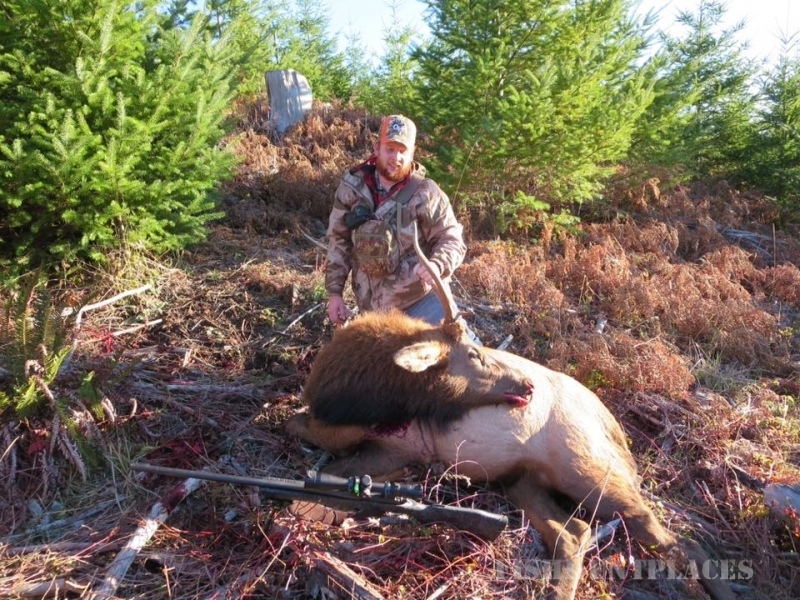 Elk bulls generally weigh in between 700-1100 lb (300-500kg) while cows weigh in between 575-625lb (260-285kg). Roosevelt elk are larger bodied than their relative, the Rocky Mountain elk with a dark brown to black neck and tan body. With large antlers, lengths can reach up to four feet with a unique three-point tip. 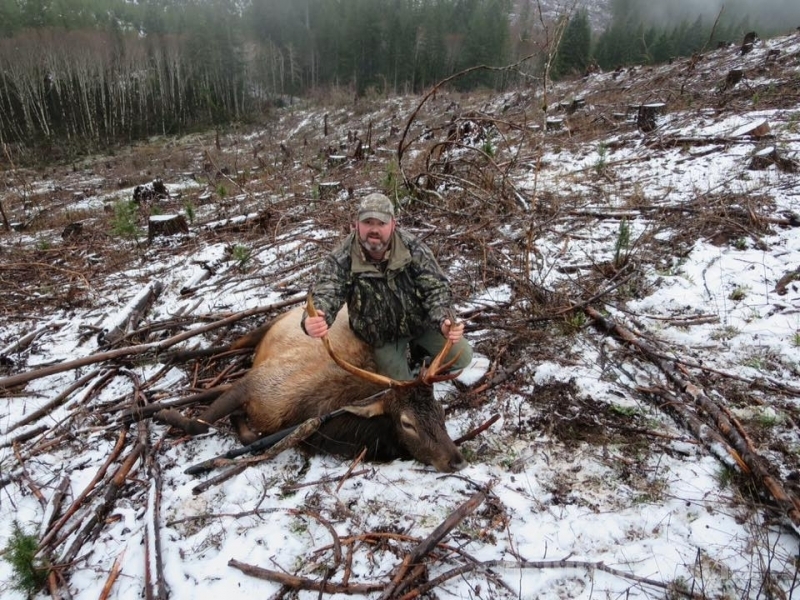 In Oregon, Roosevelt elk are hunted during archery and rifle seasons. Although once considered a species, the elusive Columbian Blacktail deer is now considered a subspecies of the mule deer by most authorities based on DNA testing. Blacktail deer are commonly found in the coastal mountains of the Pacific Northwest where they thrive in the temperate rainforests but are also found in northern California and Washington. Blacktails, on average, are smaller than their Whitetail or Mule deer counterpart but can weigh upwards of 175lb (64kg) in Oregon. The size of antlers is contrary to what one might expect and is often a subject of debate. The obvious expectation is that antler size would correlate with body size but this is not the case with the Columbian Blacktail deer. Body size often has little relationship to antler size. 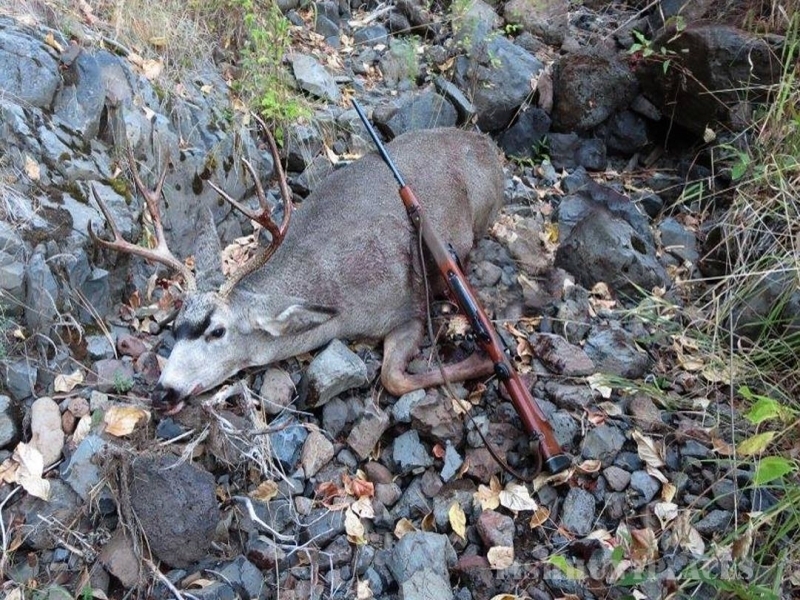 In Oregon, Blacktails are hunted in limited archery and rifles seasons.